Back in the July, August time frame I reached out to the City Manager in order to start a discussion about his position with the city. I indicated I would be in favor of waiving the contract requirement that said he needed to give the city six months’ notice before putting in for retirement. Since his putting in for retirement also terminated his contract, I also indicated this would offer the city a gentlemanly way to transition to the next city manager. Do not get the wrong impression from the content in the next paragraph. I truly believe the city could easily get as good or better production from a person willing to work for ninety or one hundred thousand dollars a year than we get from Mr. Schommer. I have worked with many captains, young majors, civil servants and contractors that fill program manager and contracting positions on base that show superior decision-making ability for around that $100,000 salary. I fully expected that if the city did an open competition for the City Manager position, we would significantly improve the production of that position and many of those he currently supervises for 2/3rds the cost. That said, I made no indication nor would I have discouraged Mr. Schommer from applying during an open competition. Had Mr. Schommer shown the courage to have his resume’ compared side by side in an open competition, if Mr. Schommer had demonstrated a dedication to the best interest of the city through participation in a smooth and gentlemanly process, that would have gone a long way in dampening my negative view of his character. I certainly would still point out that his performance has been mediocre and I would have been actively looking for a more capable person. But that process would have been much more productive than this one where he tries to sneak through, under the radar, and I have to waste time and effort making sure the residents have an opportunity to evaluate his abilities and character. However, this article is not about whether it is good for the city to keep a person with a history using the resources of his office to fabricate allegations, as the head of our police force. This article is about getting good value for our tax dollars in the context of his decisions and recommendations. There are too many poor-quality decisions and mediocre results to list them all. This article addresses the income tax levy, the aquatic center management contract, the city website and pickleball courts. In hindsight we can compare the analysis Mr. Schommer presented to justify the income tax levy against my analysis at that time. In doing so we see, I was right on the mark and Mr. Schommer was way off. The calculations he presented to council showed that we were on track to have less than a million dollars in our General Fund by the end of 2015. He told us that we needed to pass this levy, which he told us would raise revenue by about $1.5 million a year, in order to maintain current services and pay our debts through the year 2025. On the other hand, I presented that the economy was turning around and we should not be locking in community expectations of just “maintaining” services. We could maintain services at the 2014 level without a tax increase. If the city wanted a tax increase we should be forthright and let people know it was to help restore our reserve funds and to improve services. Fast forward to the end of 2017 and the city has re-filled long vacant positions. Even more promising, we have not just “maintained” the balance of our operating funds at $1 million, but instead, the last number given by staff showed it was over $6.5 million. 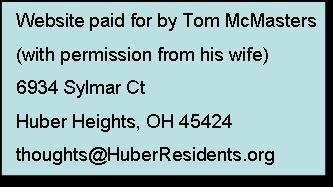 In a recent council meeting Mr. Schommer was asked if the additional income tax was actually needed. He was asked if it might be possible that one day it could be reduced. His answer shows a continued lack of awareness of the city’s financial situation. Worse yet his answer highlights one of the key complaints about his management abilities; his inability to plan ahead and to anticipate either problems or positive situations. I am all for building up the operating reserve fund to a level that equals about $12 million dollars. This would be roughly 10% of the operating budget plus 10% of the outstanding debt. Others may have a different level in mind, but no matter what, that level needs to be identified. Our city manager has not provided any recommendation to council. In fact, he seems to be trying to hide the fact that we appear to be increasing our reserves at a significant pace. Setting a target reserve balance is just one aspect of long term planning. Council should also have seen a target for police and fire manning levels. Did you know that our public works department is still at a 1995 manning level even though we have added a significant amount of development in Carriage Trails, Callaway Farms, Lexington Place, etc? Has council seen a plan for improvement? No. Here is where I am thinking about inserting a dig at his character. Back in 2014 we had a significant difference in how to evaluate the health of the city finances. In my opinion, there is nothing wrong with a healthy debate. Given the level of this year’s operating fund balance, I was justified in showing frustration over his going into town hall meetings and telling residents I was irresponsible. It also reflects poorly on his character that he signed and use his authority to get other members of staff to sign a complaint where the pervasive theme was to threaten allegations of child endangerment, all in an attempt to get me to get in line with the spin he was trying to sell residents about the income tax levy. But the topic of this essay is not, “What kind of council hires someone to run their police department who has a history of manufacturing false allegations for political and personal gain?” This article is to talk about the quality of decisions and performance. So it is relevant in this article to point out he had no ability to judge the financial situation of the city and he continues to try and hide the fact that he was so far off. Speaking about plodding along for years. It took over a year for the city manager to upgrade the city website. There is no discernable improvement with many expected features not found. For instance, online reservation of parks was expected. It is impossible to tell if the Blog page is for residents, staff or members of council. I personally was not given notice that I could write on this page as a member of council. How to sign up or request that privilege as a citizen is not apparent by looking at the page. I personally would not pay the person responsible for overseeing this upgrade anywhere near $90,000. The City spent $50,000 to convert some basketball courts in Community Park into pickleball courts. The game is especially popular. Our YMCA sets up their gym a couple times a week and the courts are always full. The city courts will see very little play because on one side of every court the layout gives only a few feet between the back line and the fence. Just like Mr. Schommer, it is expected that a $90,000 a year employee might point fingers and let the problem fester. A $140,000 a year employee would have the problem corrected by now. Mr. Schommer shows mediocre understanding and results consistently in every aspect of the position. 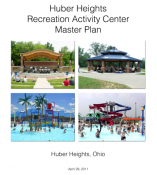 You can see this by examining big issues such as tax levies and budget, operational issues such as contracts for the aquatic center, perception issues such as the city website and providing services such as pickleball courts. Council should not continue to overpay for these results. the agenda item with the proposed contract can be found on the city website.